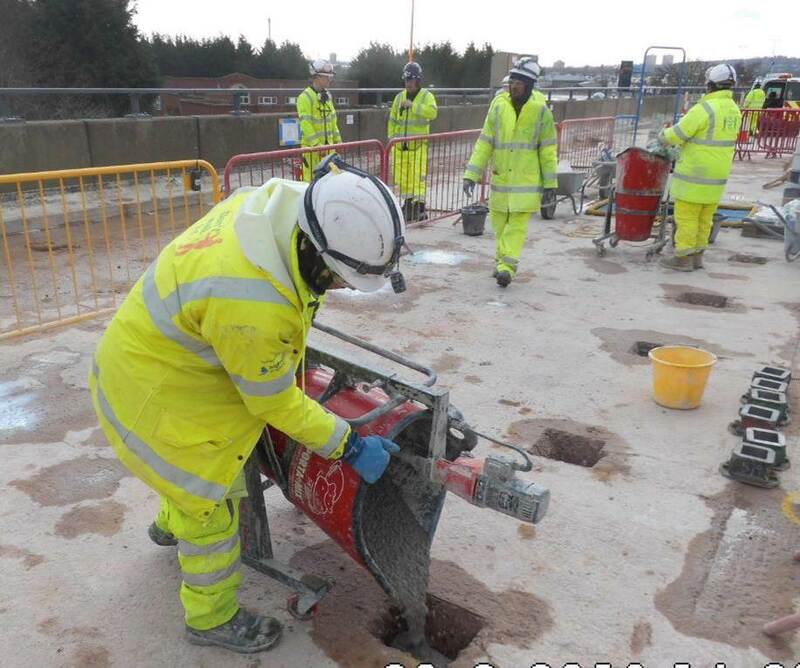 Major concrete repair and waterproofing on the M5 Oldbury viaduct, between junctions 1 and 2. We recognise the impact this scheme is having on your journeys and appreciate your frustration that work is still ongoing. This is due to the complex nature of the scheme and the scale of repairs we’ve needed to complete has been much higher than anticipated. 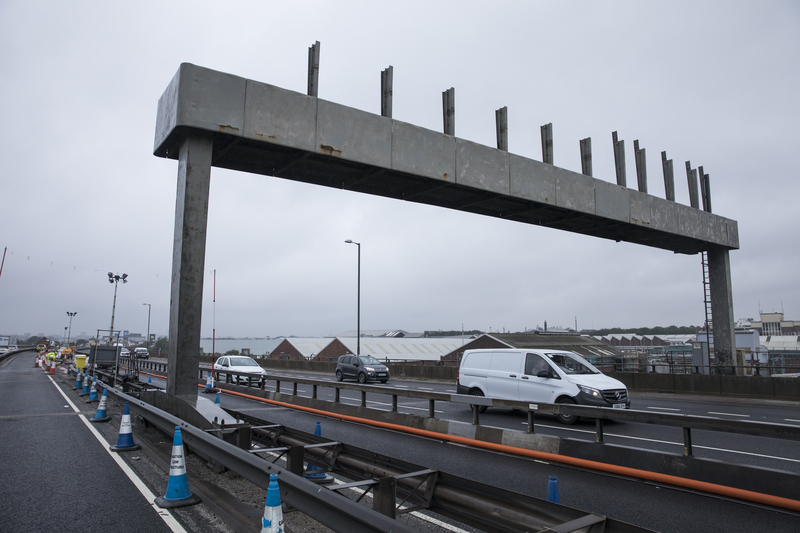 To help ease congestion we’ve now removed the lane restriction at M5 junction 4a and shortened the speed restricted section on the approach to junction 2 by over a mile. 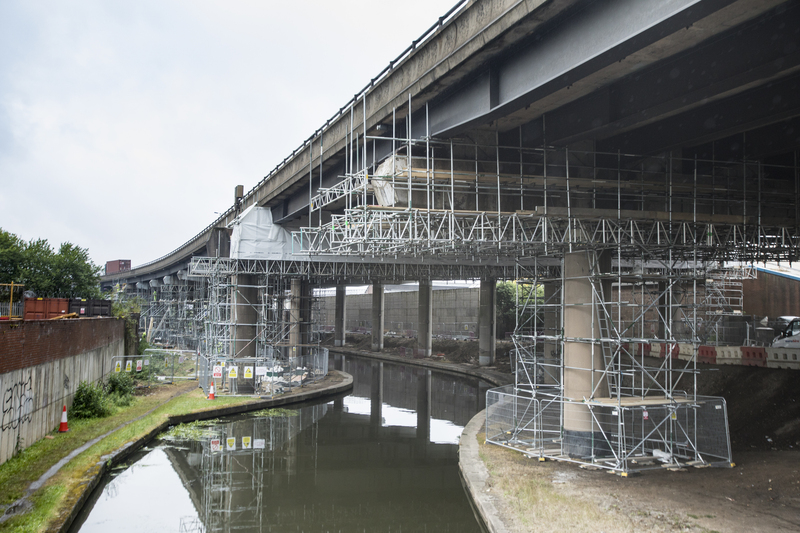 We’ve made good progress upgrading the viaduct’s lighting and relocating it to the outer edges. This relocation will mean less disruptive lane closures to maintain it in the future. We’ve also reconstructed the verge and will start the waterproofing work in the coming weeks. 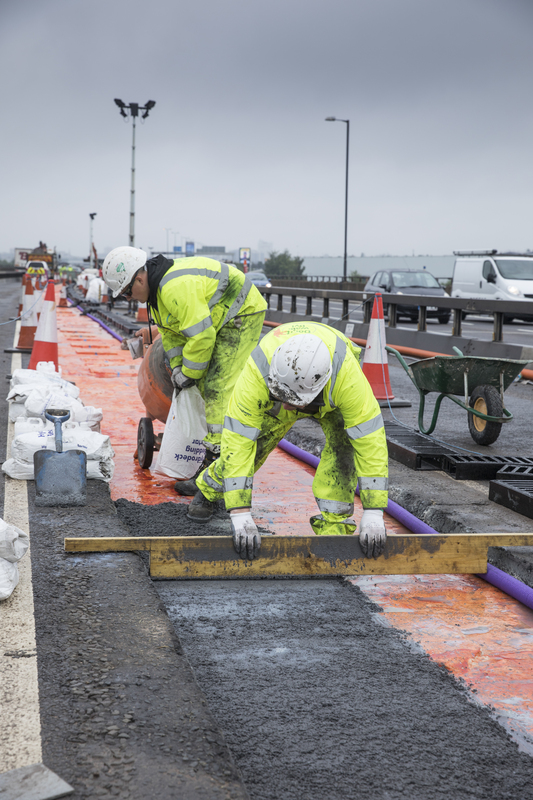 Over the coming weeks we’ll be finishing concrete repairs to lanes 2 and 3 on the northbound carriageway. 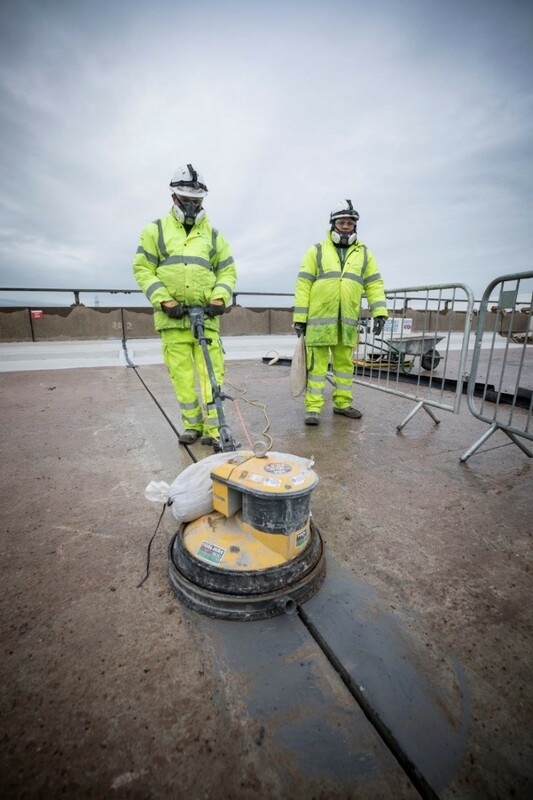 Once all the concrete repairs are complete we can then fit the joints, which link together the sections of the viaduct, and start to waterproof increasingly larger areas during favourable conditions. The waterproofing is the red material, which you may have noticed when driving through the work. 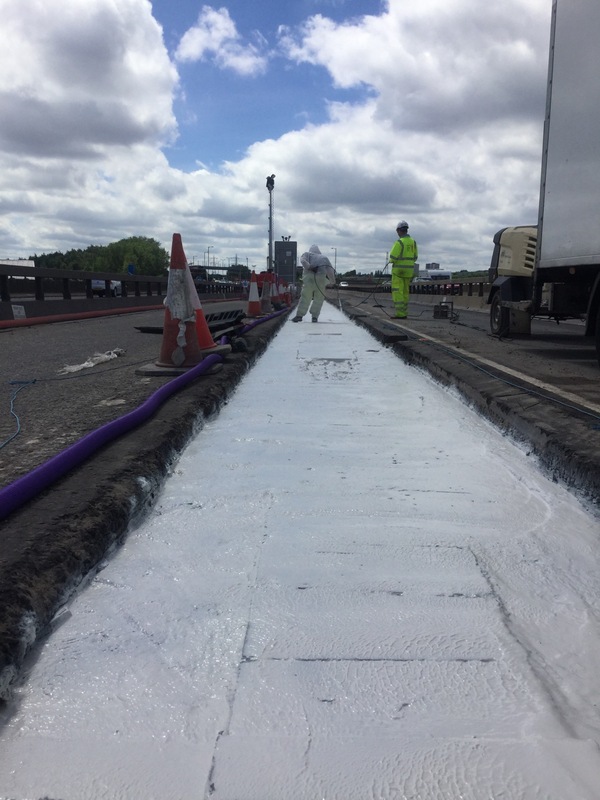 It’s designed to add an extra layer of protection between the repaired concrete and the road surface to stop water seeping into the structure, which causes it to deteriorate. Waterproofing is a weather-dependent activity. The temperature of the surface of the concrete and that of the air must be between -10 to 30°C, and the air and surface must also be very dry. Otherwise, the material doesn’t stick properly to the concrete if conditions are too wet or cold, and it blisters if conditions are too hot. With any major repair scheme the size of the workforce will change depending on the type of work being carried out. 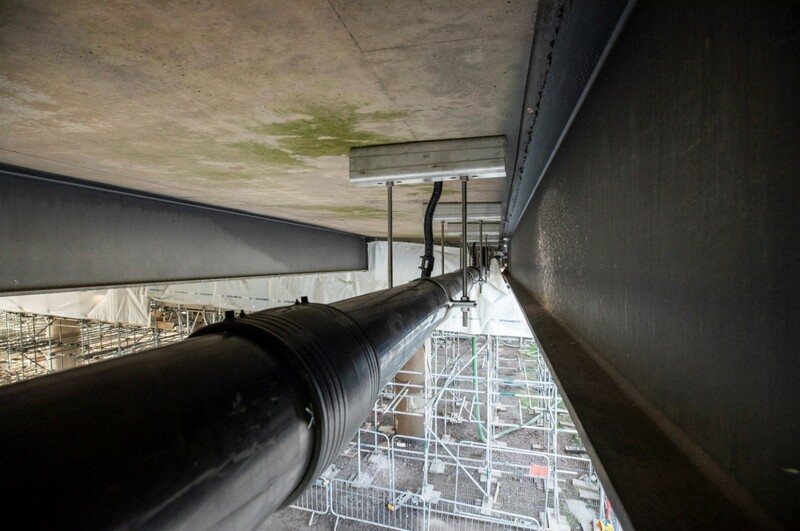 Waterproofing and joint-fitting require specialist teams and more space, and so the workforce visible on top of the viaduct is currently reduced. 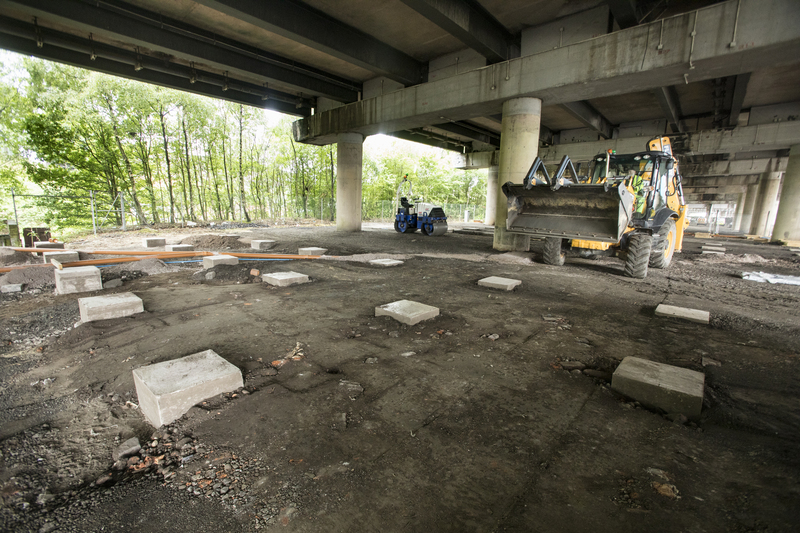 We are still working underneath to overhaul the viaduct’s drainage. 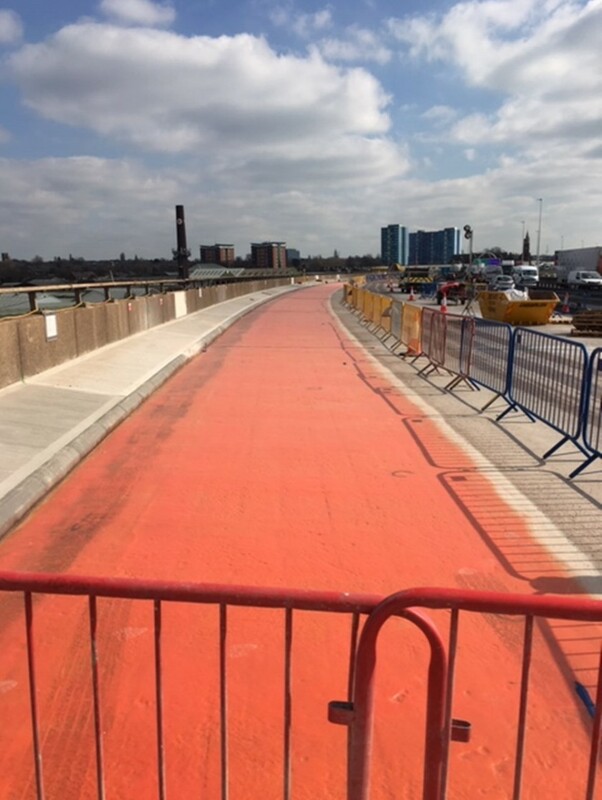 When long stretches of lanes are waterproofed we will then start resurfacing the northbound carriageway, which is not as weather-dependent, and fit the remaining joints and paint the road markings. We will reopen the carriageway in a few months’ time. Traffic will then revert to the correct side of the road, with two lanes running in each direction. 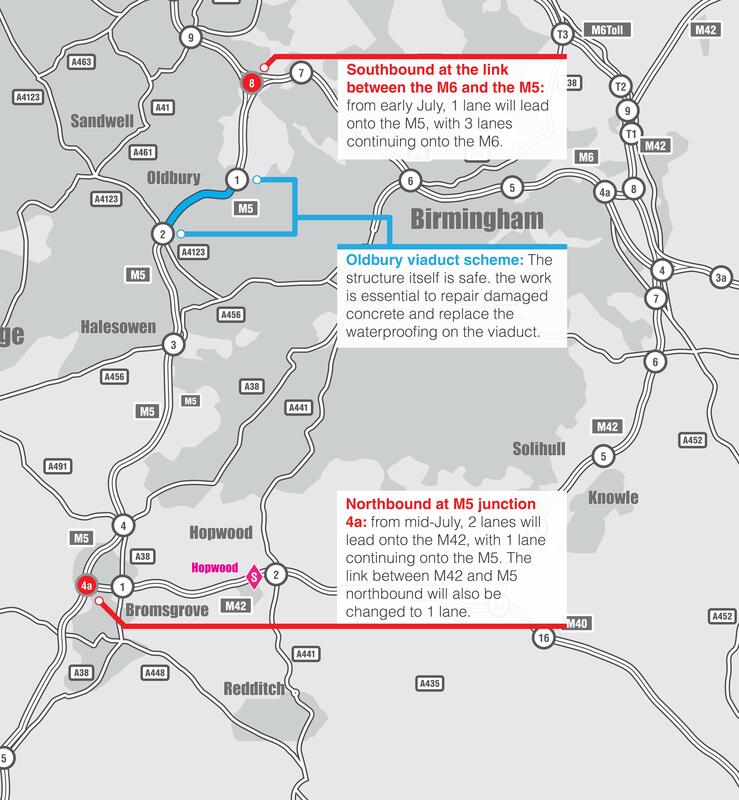 Customers should benefit from smoother and safer journeys through the roadworks, and will be able to access the M5 more easily from junctions 1 and 2. When traffic management layouts change it can take a while for drivers to adapt to the new arrangements. To manage this transition, we’ll initially retain the 30mph speed limit, but will consider increasing the speed limit after monitoring the transition. Removal of the contraflow will enable our specialist repair teams to work in the lane either side of the central reservation. This will allow us to complete repairs to damaged concrete in these lanes, as well as carry out repairs to the central barrier. The M5 is one of the busiest routes in the country, carrying a mix of traffic through the Midlands and onwards to routes in the north and south. This section of the M5 is particularly busy, with traffic joining with the M6 and other roads into and out of the Birmingham hub. Oldbury viaduct carries approximately 1.8 miles of the elevated sections of the M5 to the west of Birmingham between junctions 1 and 2. The structure is safe, but we need to carry out essential repair work to deteriorated concrete due to its perished waterproofing. 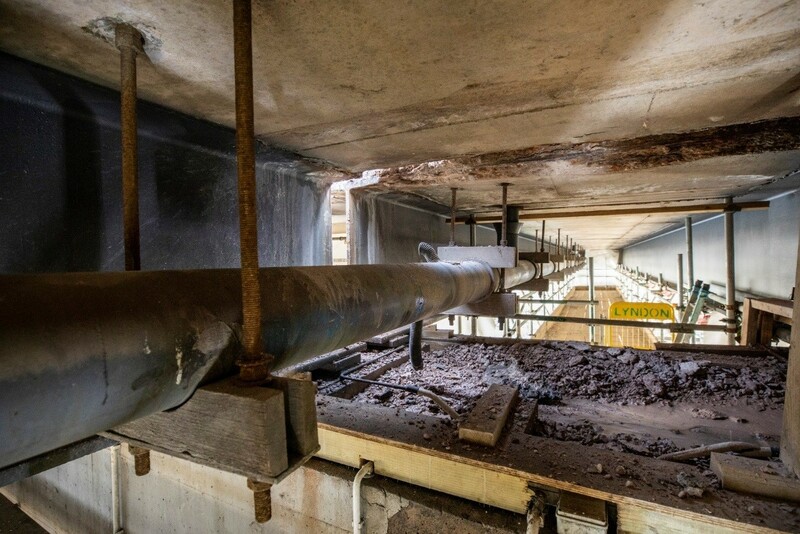 The decision to repair this section of motorway now was based on both its condition and to avoid large-scale projects occurring at the same time around the ‘Birmingham Box’ (M5/M42/M6) over the next few years. We have kept the slip roads open and have restricted the occasional closure of slip roads, carriageway and local roads to the night-time only. We have kept open most of the public walkways underneath. 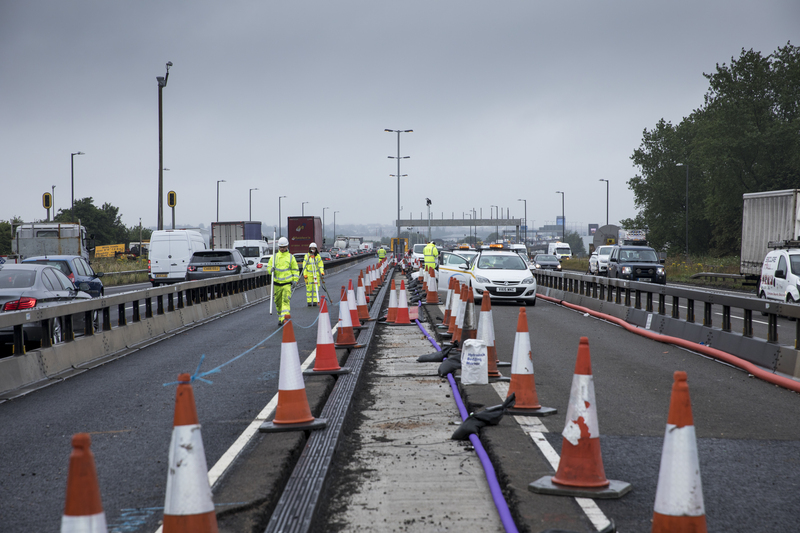 This work is part of the government’s long-term Road Investment Strategy to build a modern and resilient road network. By maintaining this key corridor, we will support economic growth locally and across the West Midlands. 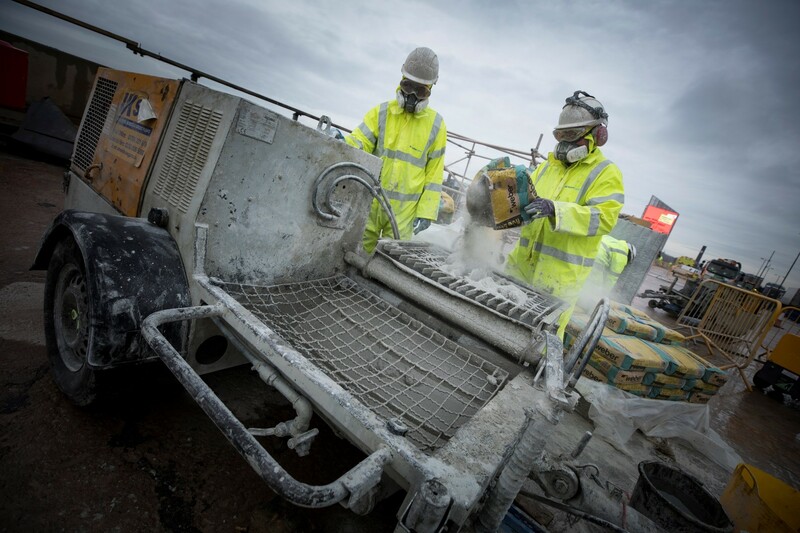 The scheme is a very significant infrastructure project for the West Midlands, and is the largest concrete repair project in the UK for many years. The viaduct is 1.8 miles long and was constructed in the late 1960’s. It is part of what was known as the Midland Links Motorway. It passes over the conurbation of Sandwell and its usage has grown to 60,000 vehicles per day in each direction. It has several interfaces with local roads, canals and railway and tram lines. 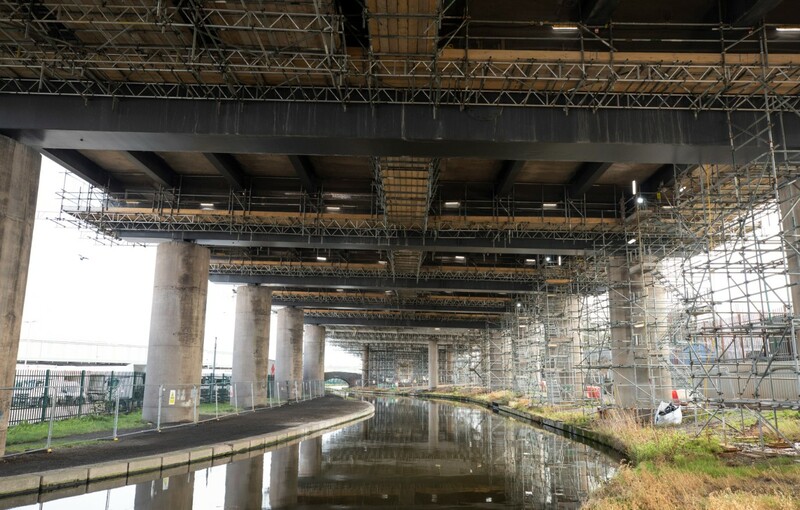 The viaduct is split into 165 separate sections which are linked by joints fitted in the gap between the ends of two sections. On the top of each section is a concrete slab, or deck, which is reinforced by meshes of steel embedded within. The deck has a long maintenance cycle compared to its supporting structures which are in good condition. 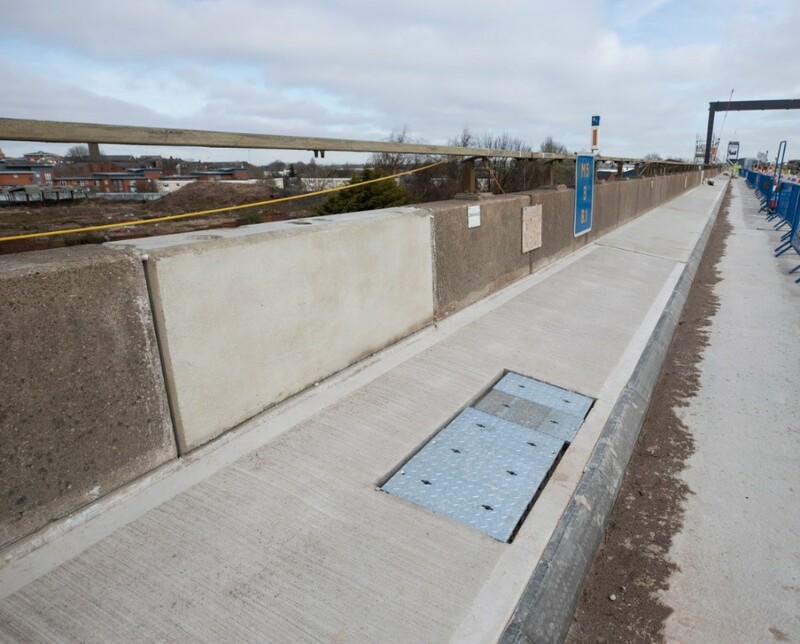 A waterproofing layer protects a deck from the motorway’s run-off water, but this layer has perished over time, resulting in damage to the concrete and some corrosion of its steel reinforcement. 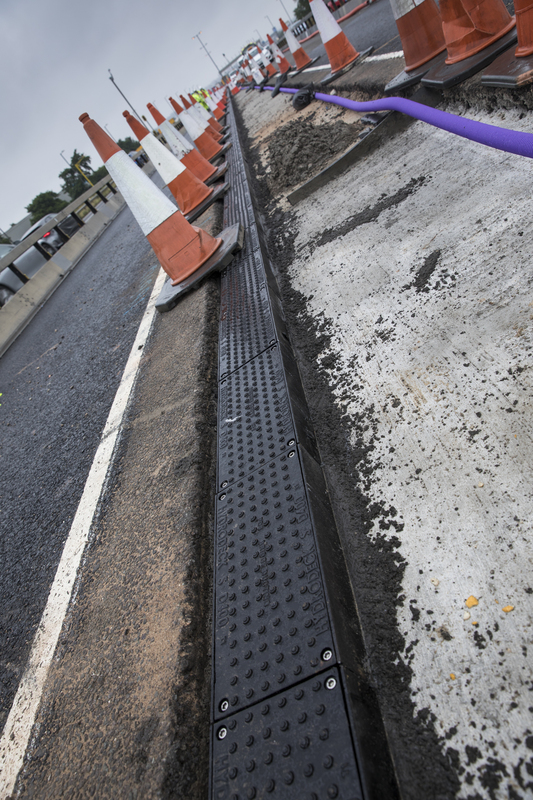 We have kept the programme to a minimum by repairing a whole carriageway at a time, starting with the southbound carriageway. This approach separates the workforce from live traffic and provides us with operational flexibility. Other approaches would increase timescales and the disruption to our customers overall. The work is complicated and needs a great deal of planning and safety considerations. 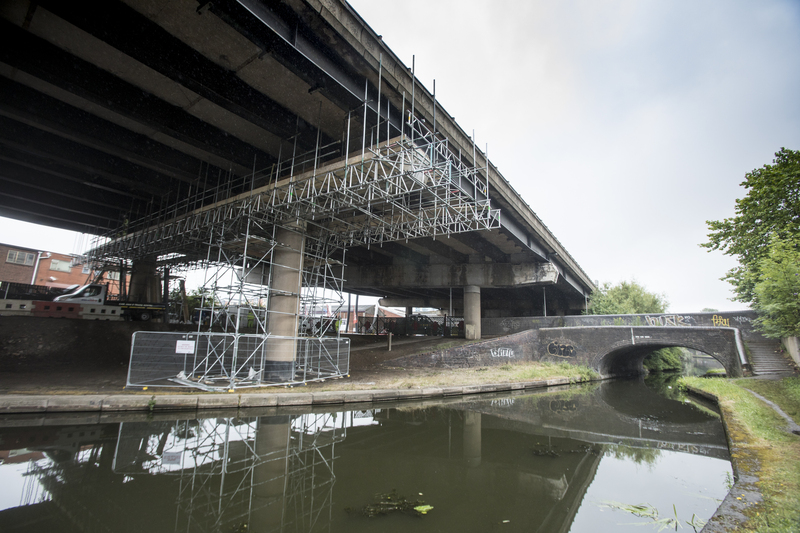 If you're travelling across the country or into and around Birmingham, we encourage you to consider alternative routes on our network, such as the M42 and M6 or M6 Toll. 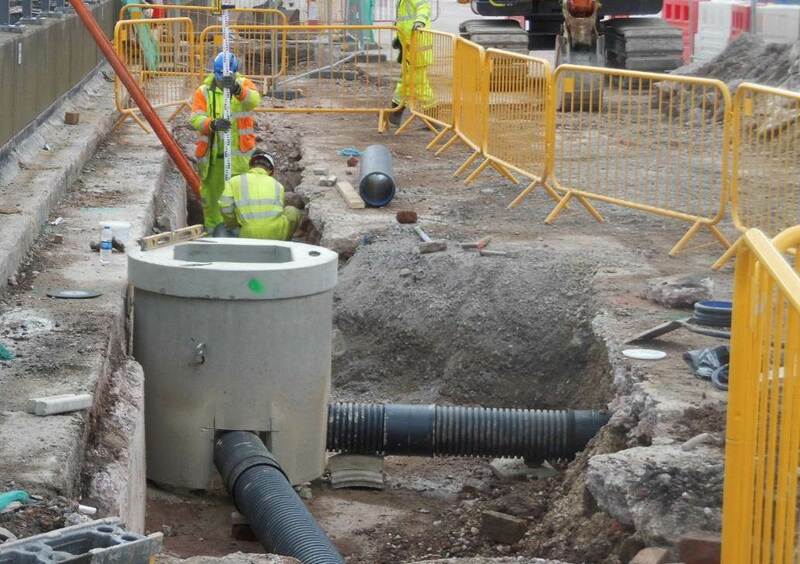 This will reduce the amount of traffic heading through the roadworks in this busy part of the network and will reduce the impact on local roads. To help with this, we've made changes to the road layout at key junctions in the area, including at M6 junction 8 southbound and M5 junction 4a northbound. View map of traffic management measures. View information on local public transport alternatives. View information on other work in the Birmingham area. View information on the M6 Toll. 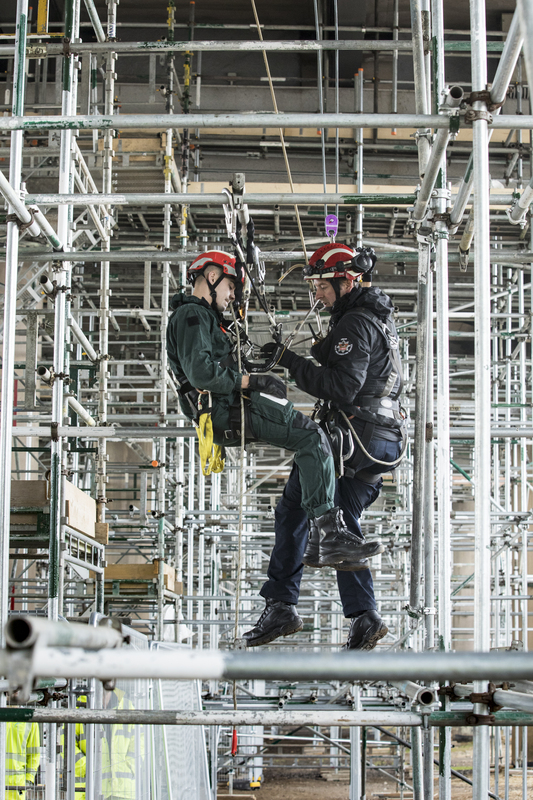 We regularly review network performance, resilience and recovery. Based on this, we altered our traffic management strategy and reinstated two lanes northbound at M5 junction 4a in January 2019. More recently, we shortened the distance of the 50mph speed restriction on the northbound approach to M5 junction 2 by over a mile. Monitoring continues to show that the restriction at M6 junction 8 is effective. 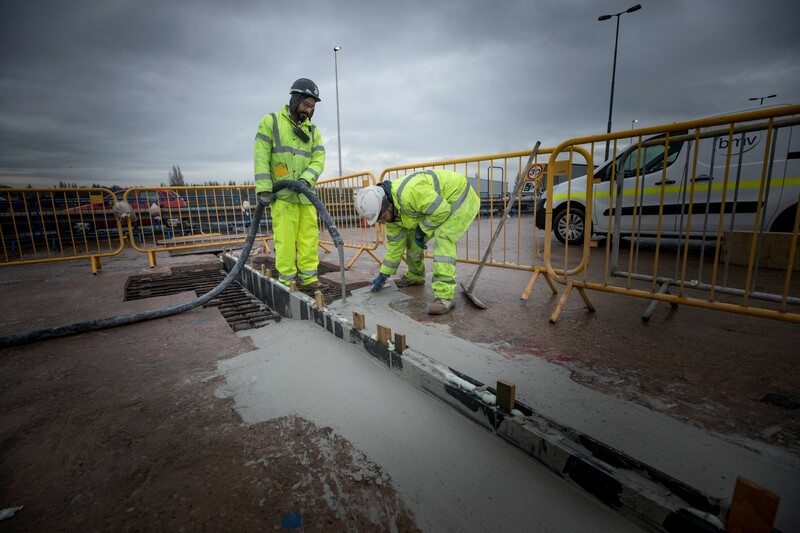 The different measures in place combine to manage traffic flows safely and minimise the disruption on the M5 corridor, as well as local roads, towns and villages. Location : The M5 southbound at junction J2 . Lane Closures : Lane two will be closed. Reason : Barrier repairs are planned. Status : Pending. Schedule : From 21:30 on 26 April 2019 to 05:00 on 27 April 2019. Lanes Closed : There will be one of two lanes closed. Location : The M5 northbound between junctions J2 and J1 . Reason : Roadworks are planned. Status : Pending. Schedule : Expect disruption everyday between 20:00 and 06:00 from 29 April 2019 to 2 May 2019. Schedule : Expect disruption everyday between 20:00 and 06:00 from 15 May 2019 to 17 May 2019. Schedule : From 20:00 on 20 May 2019 to 06:00 on 21 May 2019. Lanes Closed : All lanes will be closed. Location : The M5 southbound between the M6 and junction J3 . Lane Closures : Lanes 1, 2 and 3 will be closed. Reason : Roadworks are planned. Status : Pending. Schedule : From 20:00 on 26 April 2019 to 06:00 on 27 April 2019. Schedule : Expect disruption everyday between 20:00 and 06:00 from 2 May 2019 to 4 May 2019. Schedule : Expect disruption everyday between 20:00 and 06:00 from 28 May 2019 to 1 June 2019. Schedule : Expect disruption everyday between 20:00 and 06:00 from 3 June 2019 to 8 June 2019. Lanes Closed : All lanes will be closed. Location : The M5 northbound at junction J1 . Reason : Emergency barrier repairs are planned. Status : Pending. Schedule : Expect disruption everyday between 09:00 and 18:00 from 29 April 2019 to 3 May 2019. Location : The M5 southbound exit slip at junction J2 . Reason : Roadworks are planned. Status : Pending. Schedule : From 20:00 on 26 April 2019 to 06:00 on 27 April 2019. Schedule : Expect disruption everyday between 20:00 and 06:00 from 2 May 2019 to 4 May 2019. Schedule : Expect disruption everyday between 20:00 and 06:00 from 28 May 2019 to 1 June 2019. Schedule : Expect disruption everyday between 20:00 and 06:00 from 3 June 2019 to 8 June 2019. Lanes Closed : All lanes will be closed. Location : The M5 southbound between the M6 and junction J3 . Reason : Roadworks scheme. Status : Currently Active. Period : from 20:00 on 25 April 2019 to 06:00 on 20 June 2019. Location : The M5 northbound exit slip at junction J1 . Reason : Roadworks are planned. Status : Pending. Schedule : Expect disruption everyday between 20:00 and 06:00 from 29 April 2019 to 2 May 2019. Schedule : Expect disruption everyday between 20:00 and 06:00 from 15 May 2019 to 17 May 2019. Schedule : From 20:00 on 20 May 2019 to 06:00 on 21 May 2019. Lanes Closed : All lanes will be closed. Location : The M5 northbound between junction J1 and the M6 . Reason : Emergency barrier repairs are planned. Status : Pending. Schedule : Expect disruption everyday between 09:00 and 18:00 from 29 April 2019 to 3 May 2019. Location : The M5 southbound between junctions J2 and J3 . Lane Closures : Lanes 2 and 3 will be closed. Reason : Barrier repairs are planned. Status : Pending. Schedule : From 21:30 on 26 April 2019 to 05:00 on 27 April 2019. Lanes Closed : There will be two of three lanes closed. Location : The M5 southbound entry slip at junction J1 . Reason : Roadworks are planned. Status : Pending. Schedule : Expect disruption everyday between 20:00 and 06:00 from 25 April 2019 to 27 April 2019. Schedule : Expect disruption everyday between 20:00 and 06:00 from 2 May 2019 to 4 May 2019. Schedule : Expect disruption everyday between 20:00 and 06:00 from 28 May 2019 to 1 June 2019. Schedule : Expect disruption everyday between 20:00 and 06:00 from 3 June 2019 to 8 June 2019. Lanes Closed : All lanes will be closed. Location : The M5 northbound between junctions J3 and J2 . Lane Closures : Lanes 1 and 2 will be closed. Reason : Roadworks are planned. Status : Pending. Schedule : Expect disruption everyday between 20:00 and 06:00 from 29 April 2019 to 2 May 2019. Schedule : Expect disruption everyday between 20:00 and 06:00 from 15 May 2019 to 17 May 2019. Schedule : From 20:00 on 20 May 2019 to 06:00 on 21 May 2019. Lanes Closed : All lanes will be closed.